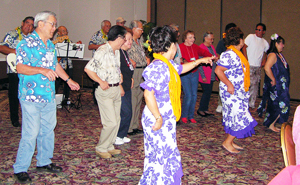 Sept. 18-20—The National JACL Singles Convention will be held in Las Vegas at the Sam’s Hotel and Casino. This is the only JACL convention that is dedicated purely to having a good time. It is open to members and nonmembers and singles and married people. There is an early bird special of $160 until Aug. 18, after which the price goes up to $180. For more information, contact Yas Tokita, (702) 866-2345, [email protected]; Muriel Scrivner, (702) 795-9547, [email protected] or visit www.jacl.sc.com.